Most guests opt for the warmth of a Mongolian Yurt with woodstove this time of year, but not Australians Emily and Brian! 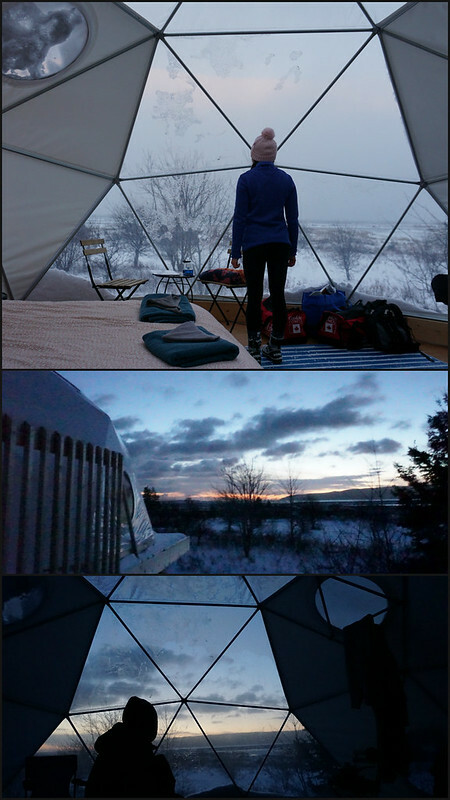 Brian came to Cabot Shores celebrating his 32nd birthday, and the couple insisted on Winter camping in a dome during their Canadian adventure! An evening hot tub soak helped recharge their batteries, and some beautiful photos resulted from this brave undertaking (Thank you both for sharing these photos with us! ).